disorders, post traumatic stress, allergies, or fatigue/exhaustion. The adrenal reset is very much like a regular Biofield Tuning session, but focuses on releasing stress and anxiety from the adrenal glands. The body is then able to be nourished by a healthier, and more stable flow of energy from those organs. 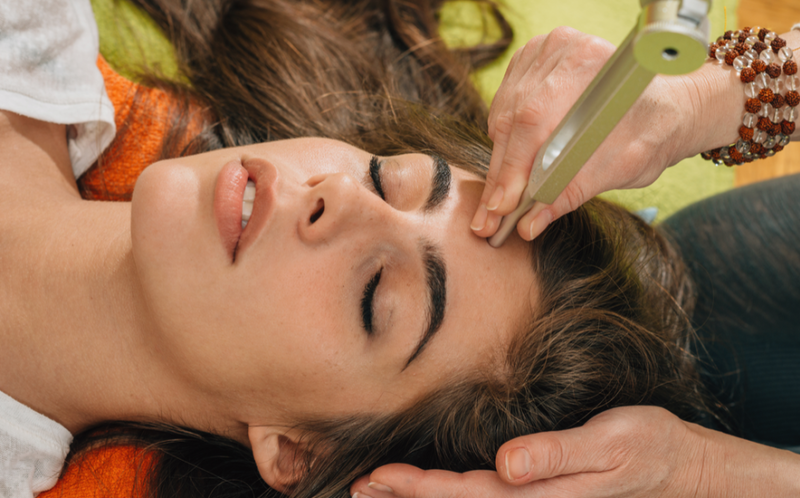 A sonic meridian flush focuses on opening the flow of energy along the body’s energy channels (meridians). 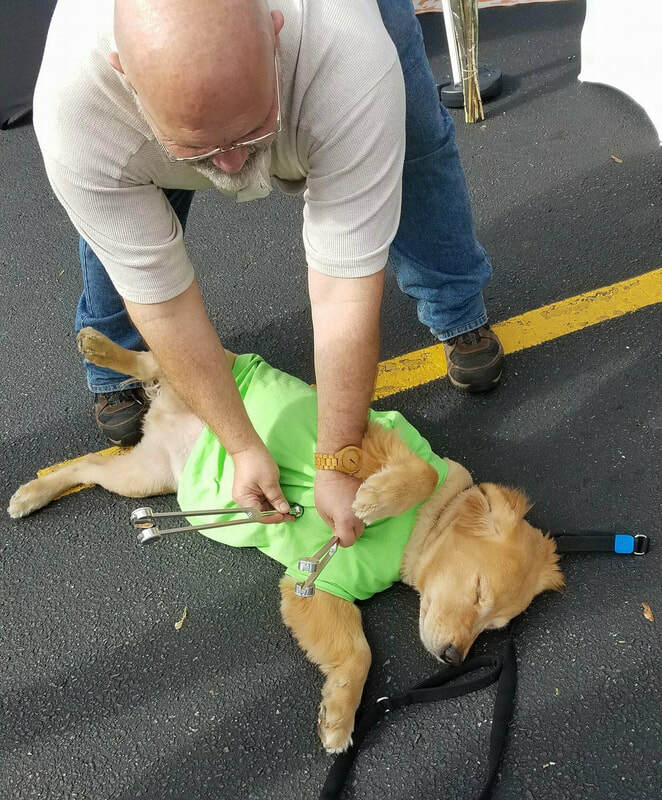 During this method, weighted tuning forks and crystals are used on the body’s pressure points, similar to acupressure. The vibrations are transported through the body, opening up energetic blockages, thus resulting in increased energy and relaxation. A relationship session can be done with any two people, or two animals, or a person and a pet, or a person and property. This may include spouses, siblings, parents and children, friends, coworkers, in laws, pets, or even personal property. I have even conducted relationship sessions between a client and their deceased partner! 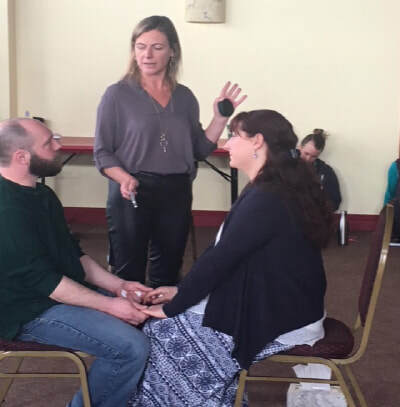 The relationship session is similar to a regular Biofield Tuning session, but these sessions can reveal energy patterns that are flowing between the two recipients and how they relate to past wounds. Relationship sessions are not about providing counseling services to clients. The practitioner's job is to simply witness what is heard, felt, and sensed in the field and to facilitate its movement. 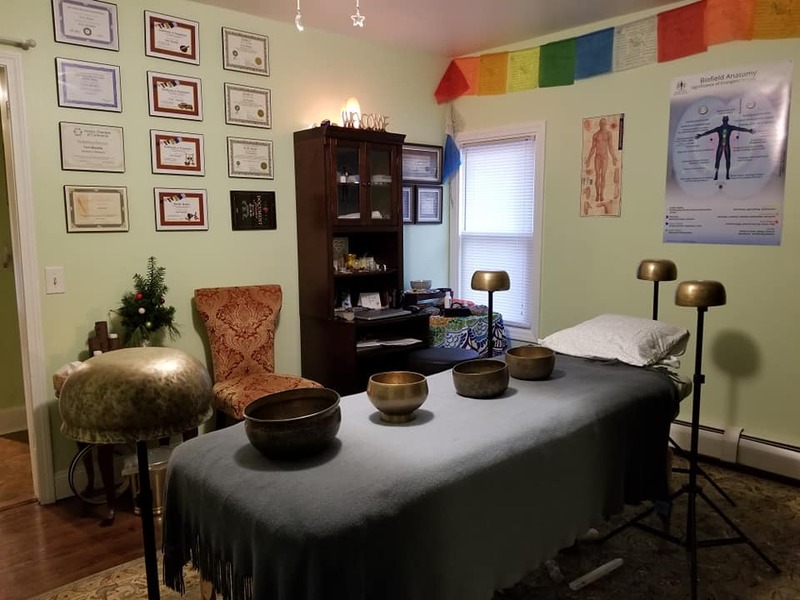 ....experience a deeply meditative and relaxing experience of vibrational sound healing with Tibetan singing bowls, Cherokee healing drum, quartz crystal, bronze, and other sound instruments. 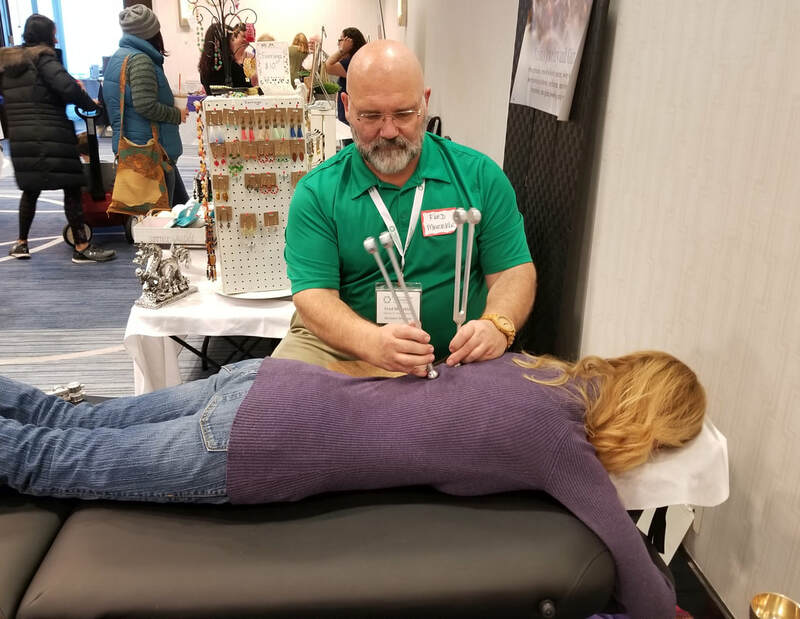 You'll relax on a massage table, and the vibrational frequencies will surround you in a cocoon of sound that will take you to your own inner space of healing. This is quite effective because it influences our emotional bodies as well as our physical bodies. Stress is the underlying cause of many physical conditions. 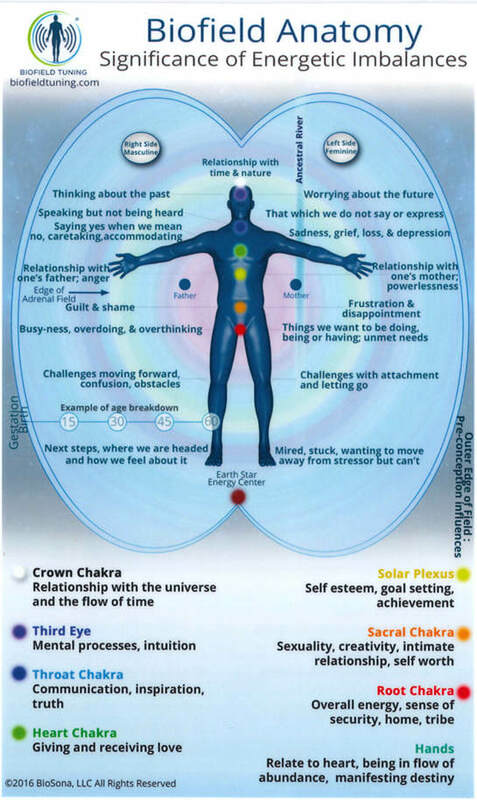 Emotional imbalances are at the root of many physical diseases and when we heal our emotional bodies, the physical symptoms disappear. Sound and emotions are deeply connected. 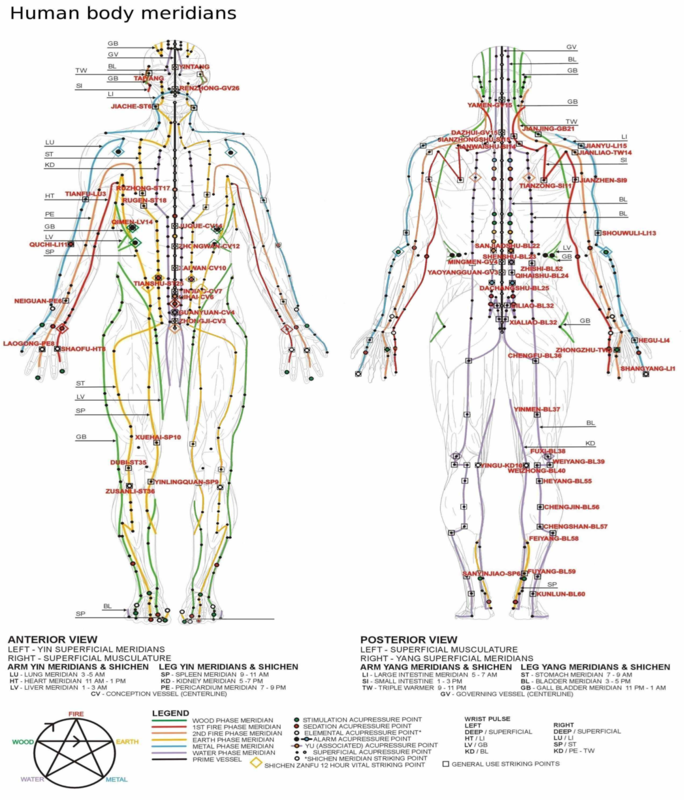 Integrated Vibrational Sound Bodywork addresses specific targeted physical areas of the body. 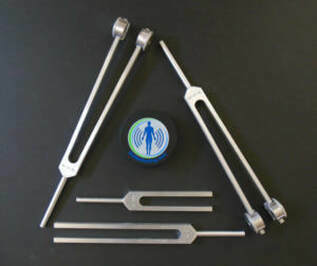 Utilizing various sets of weighted tuning forks, (calibrated with a difference of 7.83 Hz to produce a vibration mimicking the Schumann Resonance), they stimulate muscle fibers to increase blood flow. Then vibrational sound from Tibetan singing bowls helps loosen fascia, knotted muscles, etc. This process is excellent on most areas of the body: neck, shoulders, back, arms, elbows, hands (especially good for treating Carpal Tunnel Syndrome), chest, hips, legs, knees, and feet. 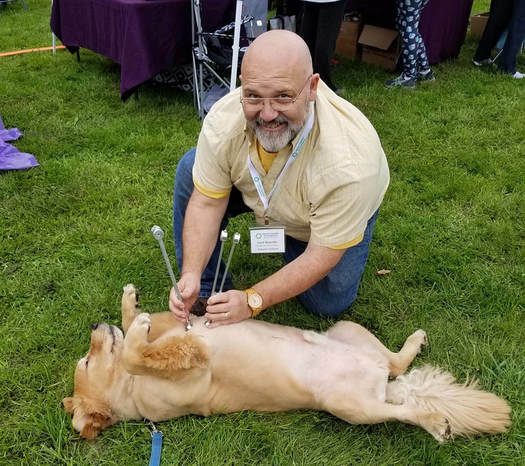 Animals even love vibrational sound healing! 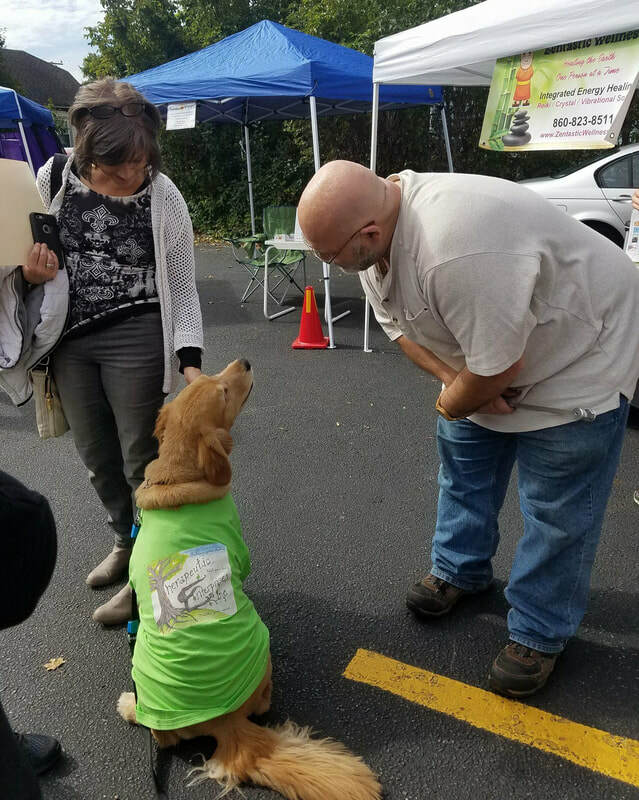 Give me a call, text, email or Facebook PM to discuss your animal's needs! Don't quite know what to give someone? 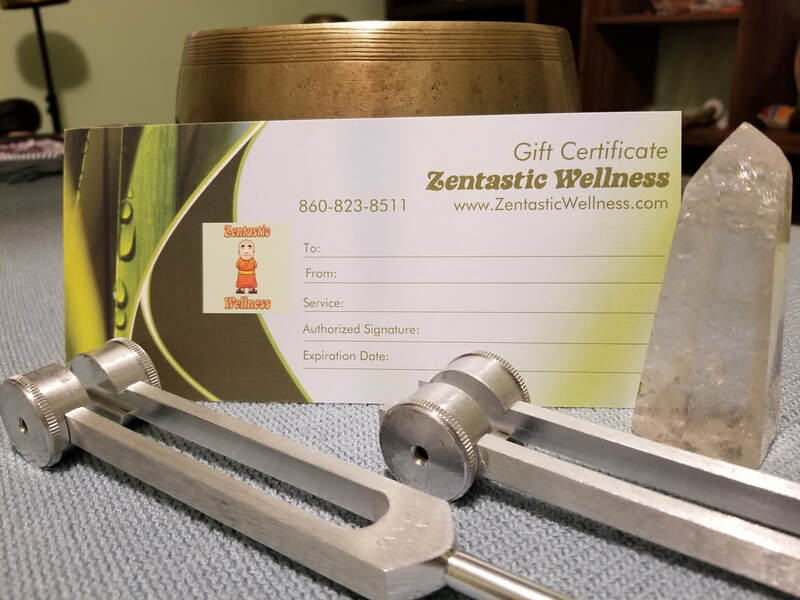 Why not give the gift of HEALING and RELAXATION! 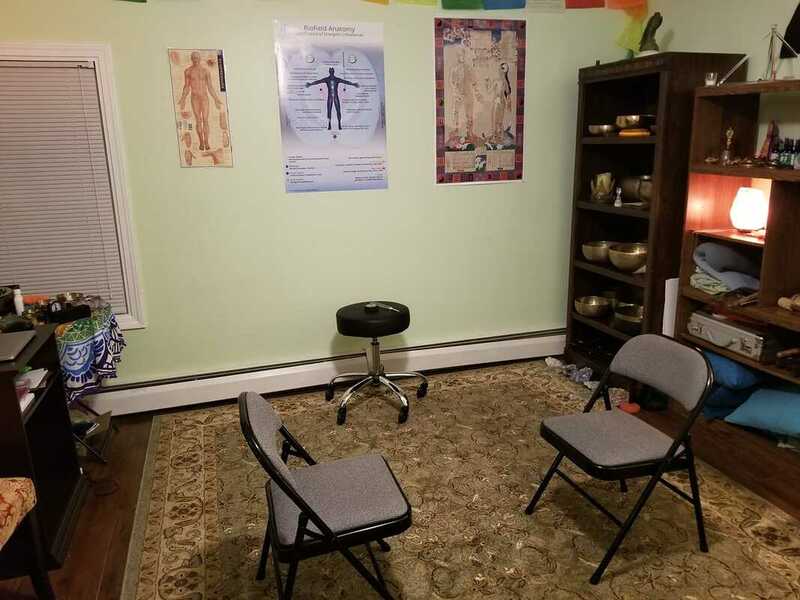 You choose the duration of the session when you purchase the gift certificate, and they can choose which treatment they would like at the time of redemption.